Aunt Bea was rescued several times or should I say thought she was rescued? This amazing horse found herself several times in danger of being sent back to auction. This amazing horse once worth thousands as a broodmare shown in many disciplines, won many ribbons for a human then reduced to being sold at a kill buyers auction. Once she could no longer produce babies she was sent to the auction this gentle sweet loving horse found herself alone & scared at the auction was then purchased by another person that would again betray her. Pulled her from auction only to sell her once again to an abusive home. This sweet innocent Mare that give her all to Humans again finds herself in a bad situation not knowing her fate, so trusting only to be let down again by a human. She finds herself injured by someone who expected more then she could give at this point in her life. 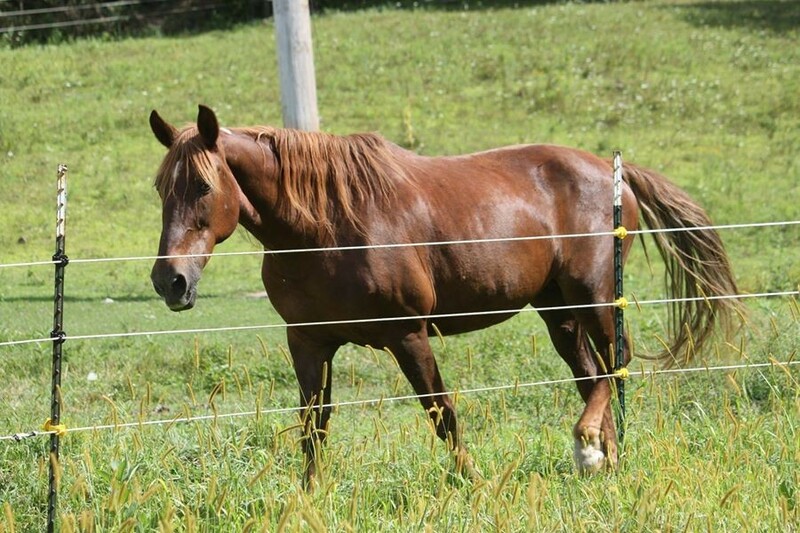 Then the call comes in to Rivers Edge that this sweet Mare would be sent to auction again if she was not rescued. I had the pleasure of meeting miss Bea Girl and knew we could not let her down again as many had done in the past . So off we went to pay her ransom fee and get her to the Rescue as fast as we could. Bea Girl had several painful abscess in her feet along with a serious bladder and urinary tract infection , understanding the severity in her situation we acted as quickly as we could. This not so nice person wanted $650.00 Dollars for her. We paid out of pocket for precious mare and took her home. Her eyes were as sad as could be but soon that would change , as we unloaded this beautiful injured mare I made a promise to her she would never suffer another day in her life . that life from here on out would be the best years of her life . I have done all I can to keep that promise and will continue till I take my last breath. Please share in the Dream and the promise of making the rescues lives all they can be. We as Kind hearted humans owe them that .